With fall in the air, our local enclaves of forests (well, we don’t really have many left below the escarpment) are starting to turn into beautiful hues and the much loved Irish Woodlot in Grimsby is no exception. As such, we thought it would be apt to turn our “How They Voted” eyes onto the Irish Woodlot and the proposed “Livingston Avenue Extension” through it. First we thought it would be appropriate to qualify the Woodlot itself with a little information. 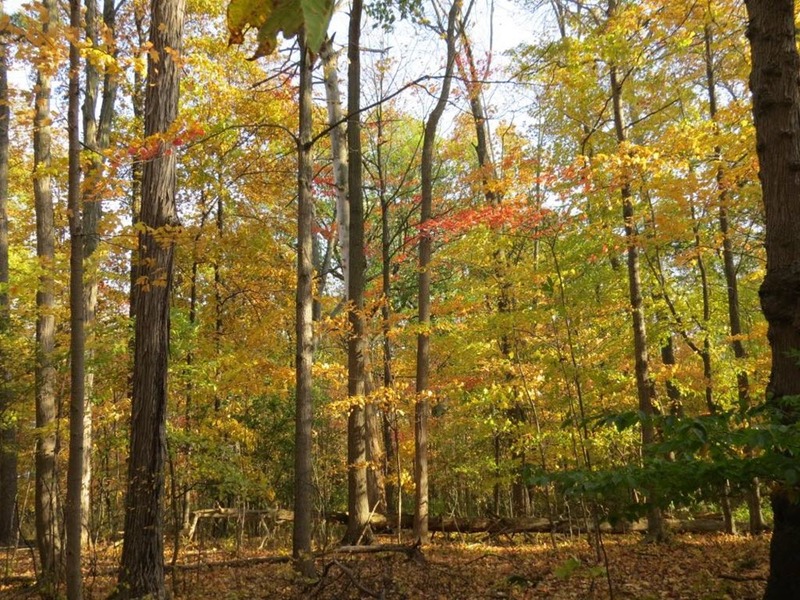 The Woodlot covers approximately 25 acres and is designated as and protected under the Greenbelt. It has been described by award-winning local environmentalist Bruce Mackenzie as the “most significant Woodlot on the Lake Ontario Plain in Niagara” and a “living museum” with some trees believed to be in the range of 300 years old. It is recognized provincially and is in the Regional Official plan as being significant. A few decades back, Niagara Region acquired a thin strip of land for future use that extends from the end of Livingston (at Casablanca) through to Highway 8 (Main St.), this was long before most people were environmentally aware, but time changes many things. Despite the Town and Region’s desire to plow the Livingston Avenue Extension (LAE) through the Greenbelt and Woodlot, the movement to protect the Woodlot is strong and resilient. Since there is such a long history, we will look at what has happened in the most recent term of Council, starting in 2017 when the LAE showed up in a regional transportation plan. And it appears from at least one source, that it was at the request of the Town. In May 2017, the Region’s Transportation Steering Committee was in the process of finalizing the Transportation Master Plan (TMP). 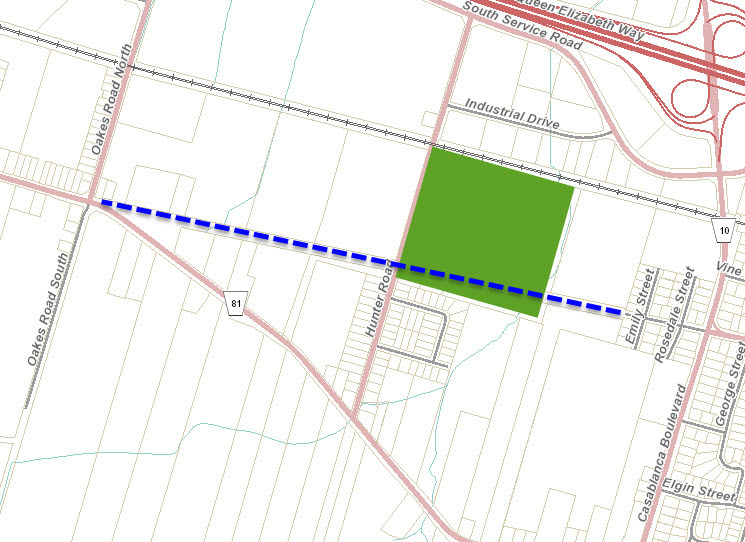 Included in it was the plan for a Livingston Avenue extension through the Woodlot. 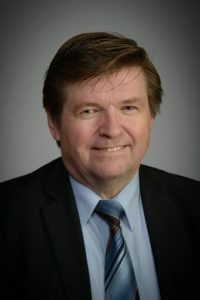 In response, Mr. Mackenzie appeared as a delegation and gave the Committee a thoughtful presentation on the importance of the Woodlot and requested that it be removed from the Plan. 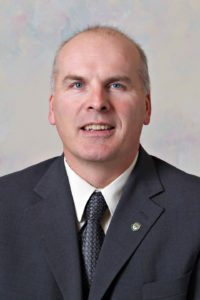 As a result, a motion was brought forward by Regional Councillor Augustyn (Mayor of Pelham) to remove any reference to the Livingston Avenue Extension from the TMP thus eliminating the possibility of a road through the Woodlot. The motion was carried by the Committee including a vote in favour of by Grimsby Alderman Dave Wilson who sat on the Committee. The matter then had to proceed to the Region’s Public Works Committee for discussion and finalization. 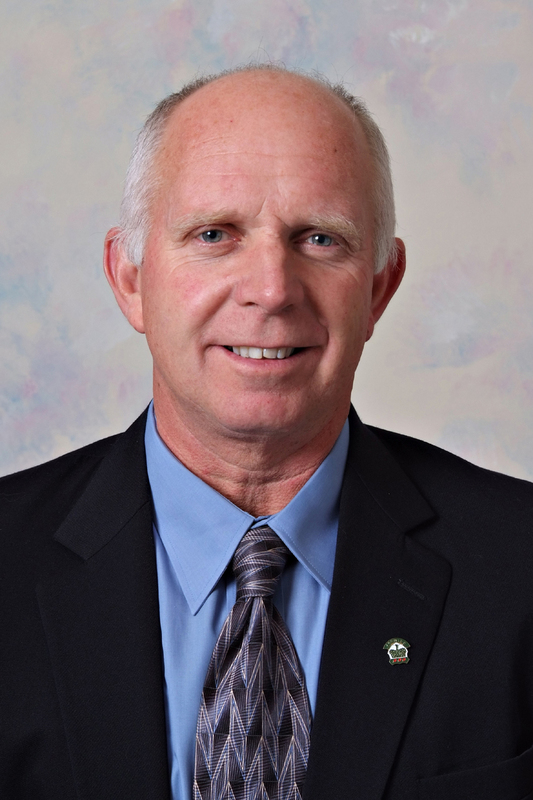 While not a part of the agenda for the above meeting of Town Council, Alderman Kadwell requested that Alderman Wilson (who had voted on the above motion) speak to what occurred at the Region. 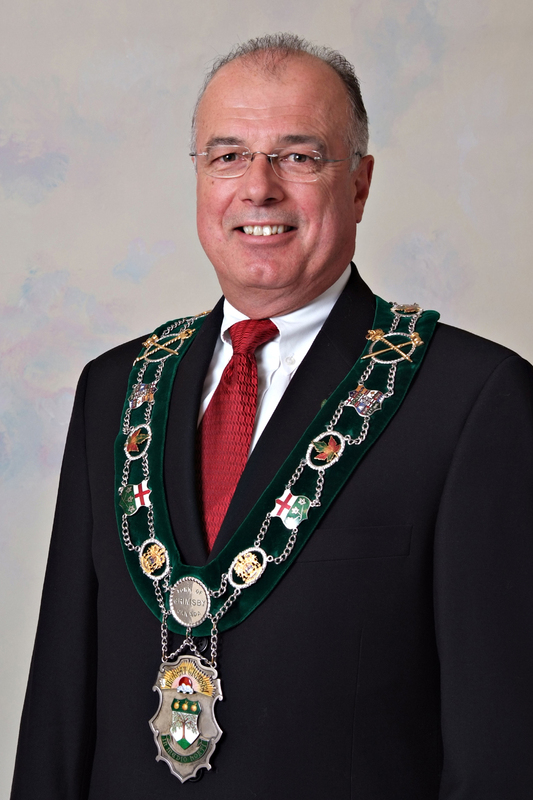 Rather than giving the courtesy of Alderman Wilson to answer, Mayor Bentley interjected with his own points to ensure that Council’s conversation was guided into a preferred direction. You can read more from our Council notes of that meeting at this link here. The TMP related recommendations, including removal of the LAE section, came before the Region’s Public Works Committee in May 2017 and the matter was passed up to Regional Council, then bounced back to the Region’s Public Works Committee in July 2017. 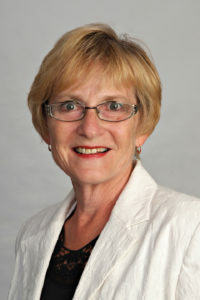 It had come back to the Regions PWC as Mayor Bentley was insistent that the Town should look at the matter and decide for themselves. 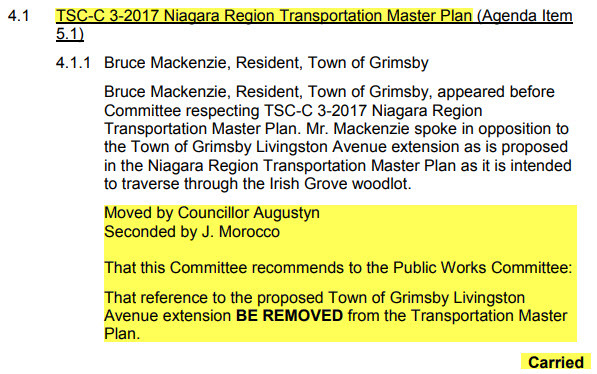 Mr. Mackenzie gave an excellent speech on the significance of the Woodlot and the opposition from Grimsby residents to any Livingston Avenue Extension. It was followed up by comments from Regional Councillor Quirk who suggested a trail for active transportation (cycling, walking… an idea most Grimsby residents would welcome) and Mayor Bentley saying “we are growing West” and “that we need to get people east-west, how are you going to do it”… with cars of course. 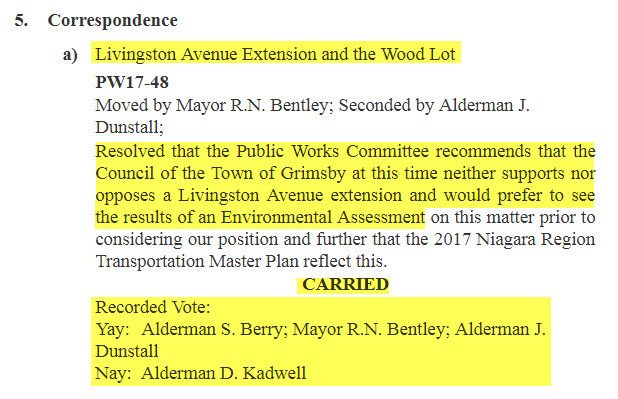 Despite there being a large campaign of people writing their Aldermen, Mayor Bentley and the Town in support of the Woodlot and against the Livingston extension, none of this appeared as correspondence in the agenda for this meeting. What *was* in the agenda was a pre-printed motion to be voted upon. Rather than have the Committee discuss whether the Town wanted to proceed with a road or not, the essential question handed down to the Town by the Region… the direction of the Committees discussion was dictated by the motion. 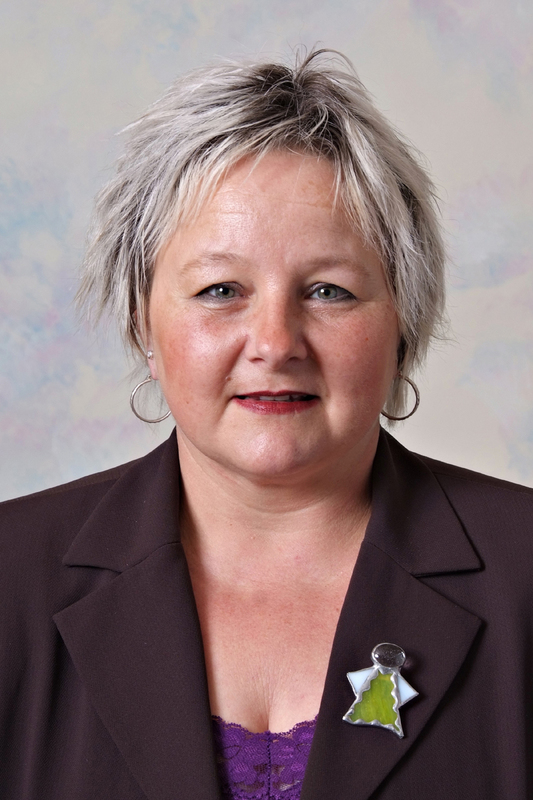 It was such an obvious push from within the Town to direct the proceedings away from a simple”yes/no” vote and bring the possibility of the road closer by not supporting/not opposing a road and having an Environmental Assessment (EA) conducted first (which means bouncing it back to the Region). Public Works meetings are held on Wednesday afternoons making it often difficult for people to attend. But given the gravity of this issue, there was a tremendous turn out of residents, so many that is was truly a “standing room only” event. Mayor Bentley was on hand to ensure that all was “in order” and shored up his support by bringing in Mr. Ron Tripp, the Niagara Region Commissioner of Public Works. If it was Grimsby’s decision to make, why bring in someone from the Region? What was notable was that Mr. Tripp “misspoke” several times (but corrected himself) when referring to the Livingston Extension, as if the road plans were already approved. As this author has professional training and extensive experience in examining verbal and non-verbal behaviour, these series of verbal “indicators” were very telling. If you want more details on that meeting, please read our notes from that meeting by clicking this link here. If you were looking for our fancy chart, we promise you will get it below. 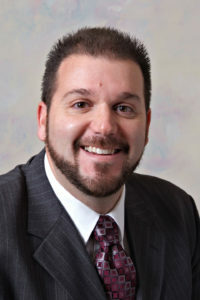 It should also be noted that Alderman DiFlavio did not vote on the matter as he was absent from the meeting. With a more convenient time for a meeting, it was standing room only once again at Town Hall as Council had delegations on both sides of the question making presentations. It appeared once again that Mayor Bentley needed Regional help to bolster his position and was successful in getting Regional Councillor Quirk to the meeting. There was quite a lengthy discussion on all aspects of the Woodlot and you can find that in our full notes of the meeting at this link here. Before you jump with joy that the motion to go to an Environmental Assessment was approved, let’s take a look what it really means. 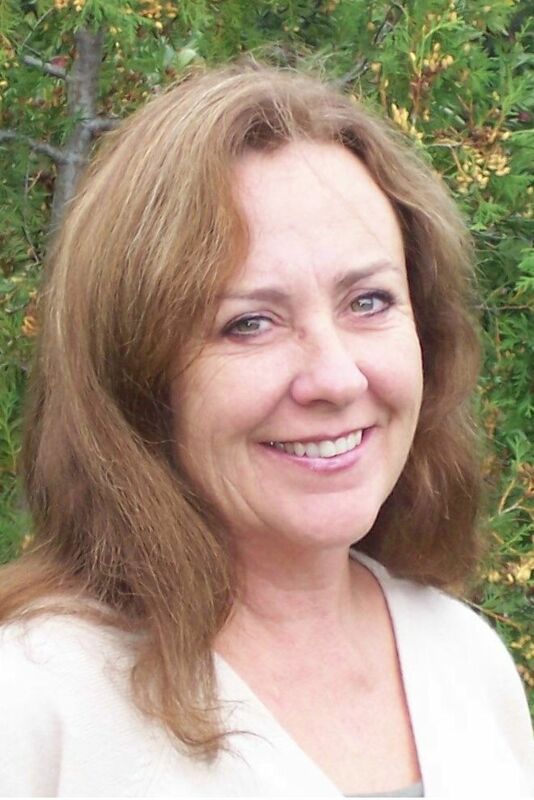 While an EA does give the opportunity for the public to speak about the Woodlot, the door is still wide open for the Town/Region to put a road in. For those Aldermen who claimed to support the preservation of the Woodlot and voted “yea”, this essentially constitutes a vote flip. Why would they want an EA process that looks at the possibility of a road, if they do not want a road or are only open to the idea of a trail? If they truly supported the preservation of the Woodlot, they could have voted down the “sitting on the fence” motion from Public Works and after it’s defeat introduce and pass a new motion that said “No to the road, lets look at other options” or refer that specific question back to Public Works. All of Council knew the public was watching, whether they were in the packed gallery, reading the local papers or this site as to how this issue was voted on and who voted (or opposed) what. 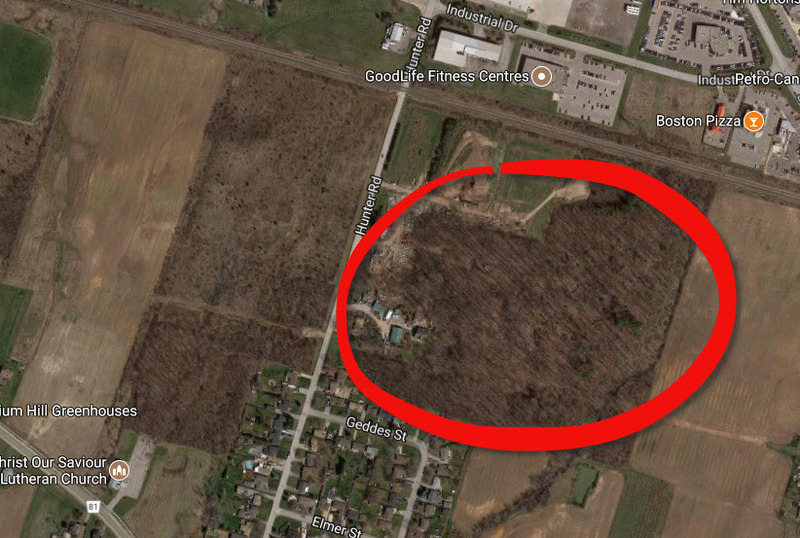 The Woodlot (along with development) are hot-button issues in Grimsby and the safest way for them to try and insulate themselves from voter frustration on this issue at the 2018 ballot box was to neither support or approve of the extension. 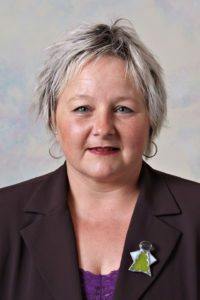 The results of an open-ended EA would come well after the municipal election, so why not put it off as far as possible? $8.5 million in tax dollars are budgeted for a road through the Woodlot, a road that goes essentially nowhere. $8.5 million dollars that can be used to bring Highway 8/Main Street re-surfacing back up to an acceptable standard, rather than feeling like you are driving on rumble strips. You can find the whole Transportation Master Plan at this link here. It was rather unfortunate to see Council throw away a golden opportunity to put this issue to rest and save the Irish Woodlot. But it appears the majority of them either did not understand what they were voting for, have no opposition to a road through the Woodlot or were just voting with the Mayor. Now we are in the Environmental Assessment process that will bring forth “recommendations” that may (like many developments in Grimsby) try and use the GO Train as justification for a road. 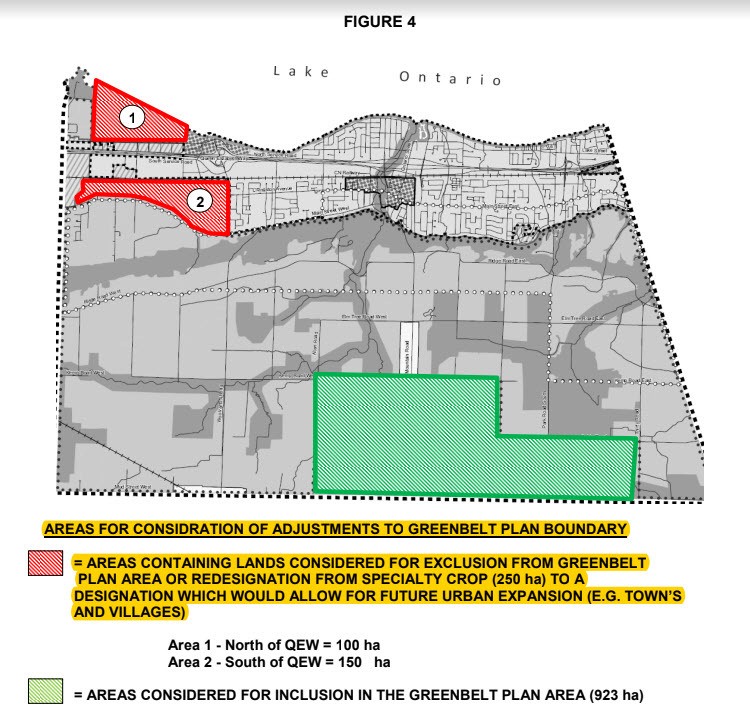 Or depending on who we elect to our next Council, the Town may simply want the road to try and push away the Greenbelt designation and encourage development. 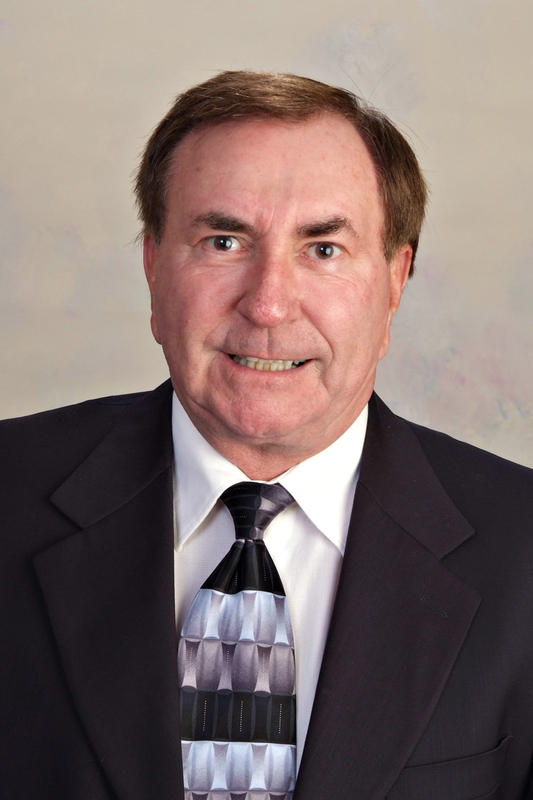 Remember Mayor Bentley’s words… “we are growing west”. Fortunately for the Greenbelt, the Woodlot (and us), the Provincial government said “no deal”. The Mayor may be retiring after our current Council expires, but if voters return to Town Hall the same Aldermen who approved that proposed swap… will the desired push into the Greenbelt remain? The ecological balance in the Irish Woodlot is fragile. Once you start cutting wide swaths through it, developing parts of it or introduce vehicles you start tipping the scale and the momentum of decline is unstoppable. There is no such thing as “buffers” that can insulate/protect our ecological gem from the damage of a road or other work such as “infrastructure” related to GO. Science, much like most of Grimsby residents, is clearly on the side of protecting the Irish Woodlot. So we leave you with this question… is your choice of candidate on that same side of the equation?